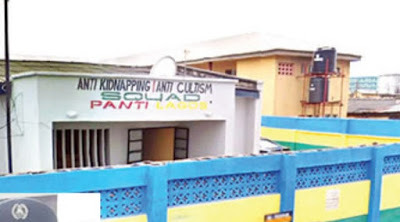 Punch Metro learnt that the suspect’s sister, Florence Taiwo, who always took food to her in the cell, was allegedly molested by the policemen who touched breasts and dipped hands into her private parts before allowing her to take the food into the cell. Punch correspondent gathered that Blessing, a mother of two, had been arrested on Monday after her boss, Mrs. Abiola Osagie, accused her of stealing $50,000 while the latter was away on a trip. Punch Metro learnt that operatives searched the home of Blessing and checked her bank account balance without finding any money. » And Here Are The Winners Of Our Easter N20k Giveaway!